Hptm. Waldermar Wubke of JV44 prepares to scramble 'Red Three' at Ainring Airfield, May 1945. 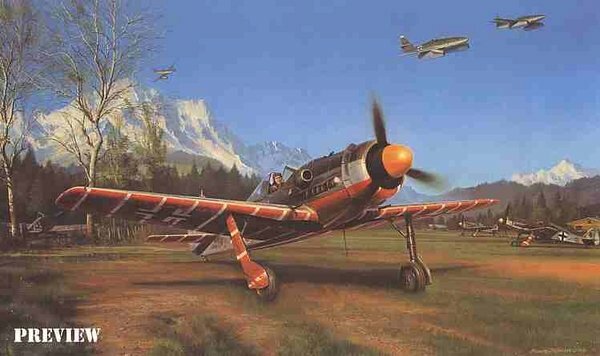 Tasked to protect Adolf Galland's Me262s during their vulnerable take-off and landngs at nearby Saltzburg airfield, these colourful Fw190D-9s were a thorn in the side of marauding Allied fighters.